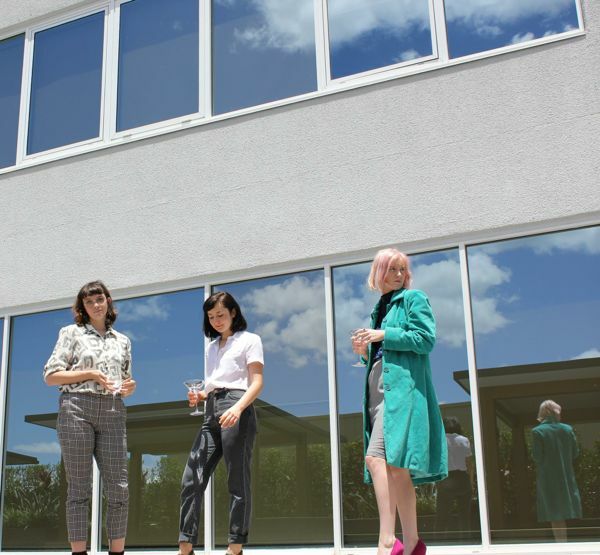 For a city that enjoys close to 3,000 hours of daylight per year, Brisbane sure has a knack for producing stellar music of the gloom-ridden variety, and 100% look set to continue that trend well into 2015. The enigmatic trio – set to make their live debut next week, alongside local faves Multiple Man and Pleasure Symbols – sound a little bit like the Sisters Of Mercy gone pop, or the Pet Shop Boys on a nightmarish acid trip in the Nevada desert. But the recently released demo EP (suitably titled DEMO) shows 100% have more up their sleeve than 80’s revivalism. ‘Eagle Street’ opens in a wash of Balearic synth atmospherics, while an off-kilter industrial rhythm is gently coaxed to the fore. ‘Prisoner’ glides effortlessly along an irresistible synth and 808 shuffle, recalling Tender Buttons-era Broadcast. Stand-out track ‘Phantom Game’ marries sepulchural, thrumming bass with a slick R&B groove, while short and sweet closing track ‘Come With Me’ calls to mind Day Ravies‘ recent shoegazing excursions. Catch 100% on 16 January at the Bearded Lady in Brisbane.